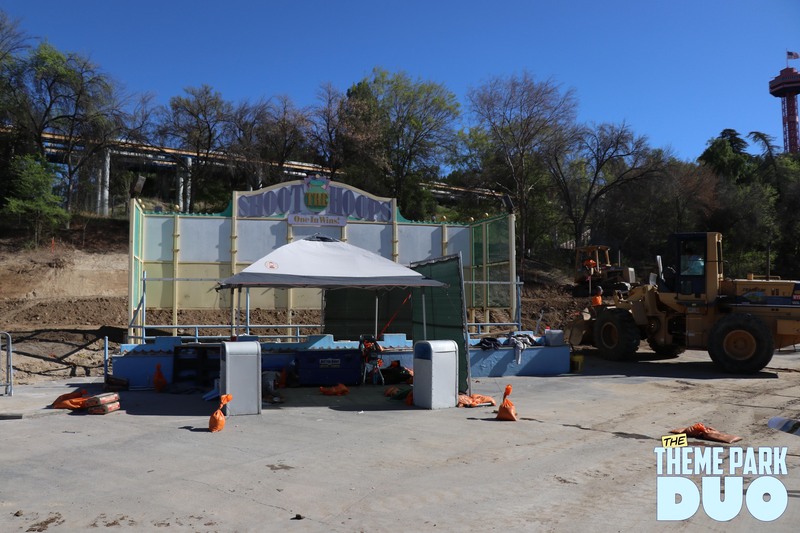 Theme Park Duo had the wonderful opportunity to tour the construction site of Six Flags Magic Mountain’s brand new attraction CraZanity, the world’s TALLEST pendulum ride! Unfortunately there really wasn’t much to see, but that didn’t stop us from being incredibly impressed at the speed of work that is taking place. 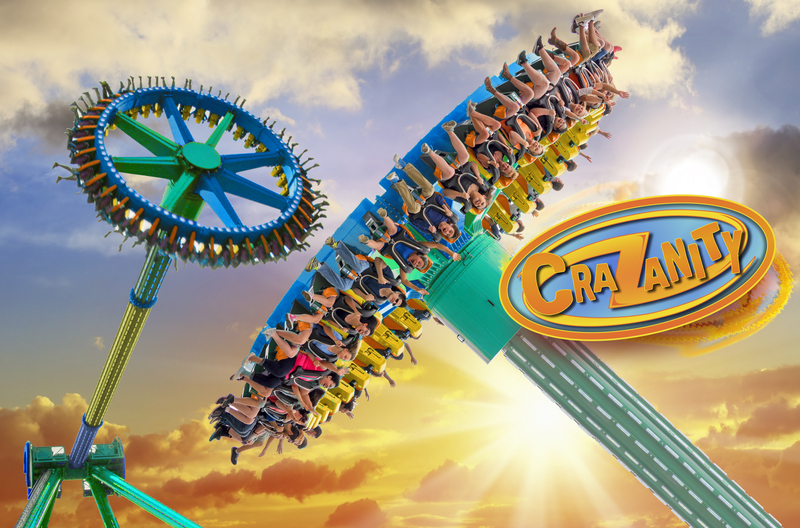 In case you don’t remember, here is a refresher on CraZanity! I think what’s exciting about this entire renovation is how it will affect its surrounding areas. 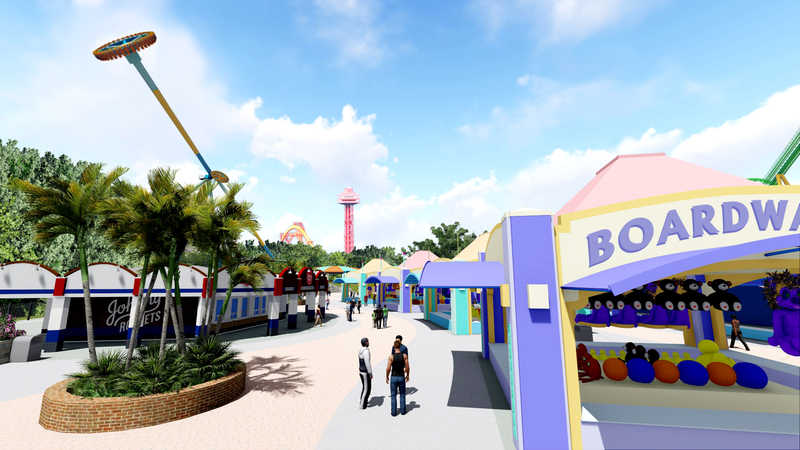 Brand new Bumper Cars, Scrambler, updated Bathrooms and more! 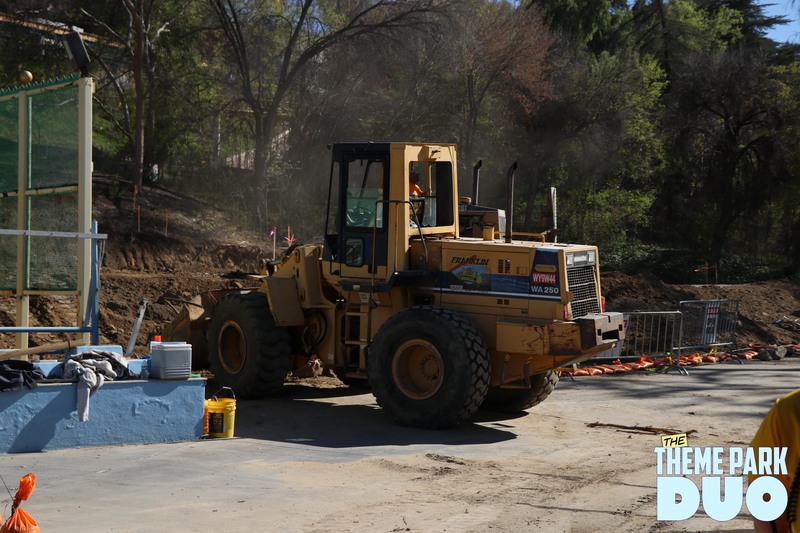 Here are some photos of the construction site as it currently sits. The Shoot the Hoops game will remain where it is during and after construction. It will be getting a much needed pain job and will help transition from the games on the boardwalk to the ride area. Here is a picture of what the entrance signage for the ride will look like! Along side some conceptual images for how the ride will sit in it’s plot of land. This is actually the plot of land CraZanity will go on! It’s currently being flattened so the ride and all of it’s necessary components can be put into place. One interesting piece of information we learned on this tour was that the ride will be 10 feet higher off the ground. This is to help enhance the view of the ride from the other side of the park. 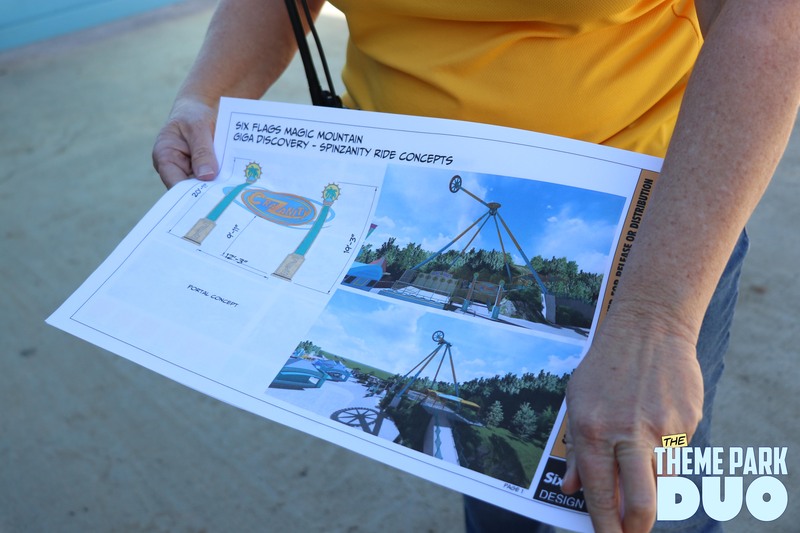 We seriously can’t wait to see this ride swaying over the tree line. On that note, the trees behind the plot of land will be staying where they are. 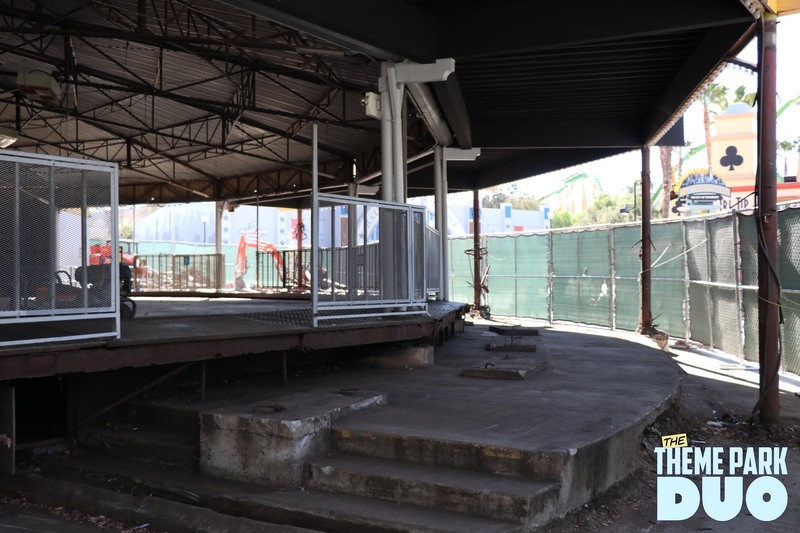 The SFMM team will also be working on placing some more trees around the surrounding area and it’s planters will double as places to sit. Similar to the trees and foliage in front of Justice League. The sun can be rather brutal at SFMM and to see some shade added is fantastic. As mentioned before, the bumper cars will be getting a facelift as well! 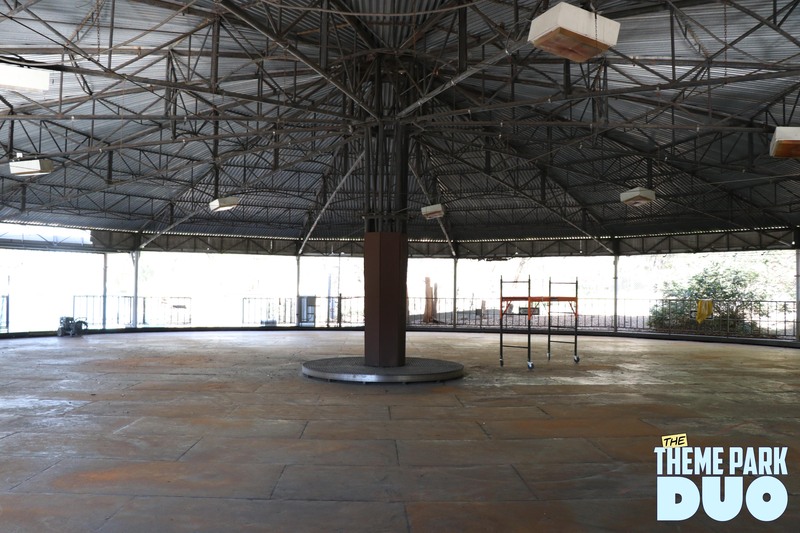 It currently doesn’t look like much, but we can promise you that it will look phenomenal when the team is done with it! The whole interior of the ride has been stripped down and will get a massive overhaul. 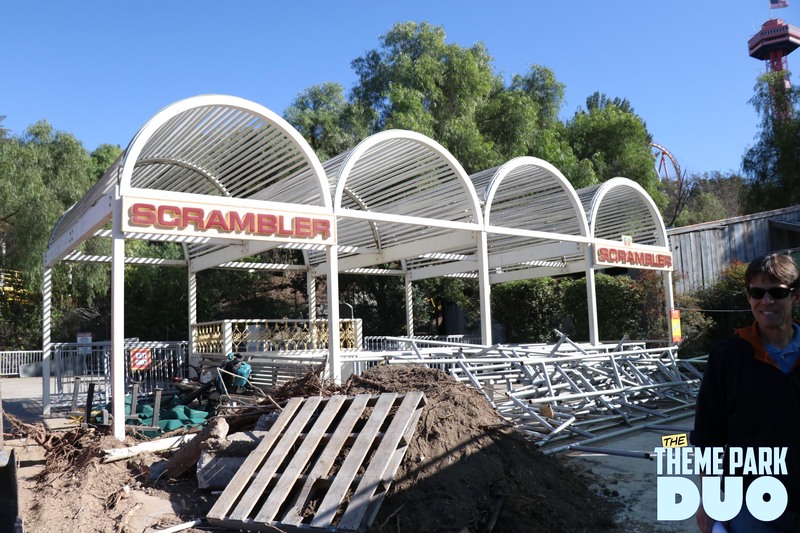 The scrambler awning is being kept! It’s actually rather cool and retro looking. 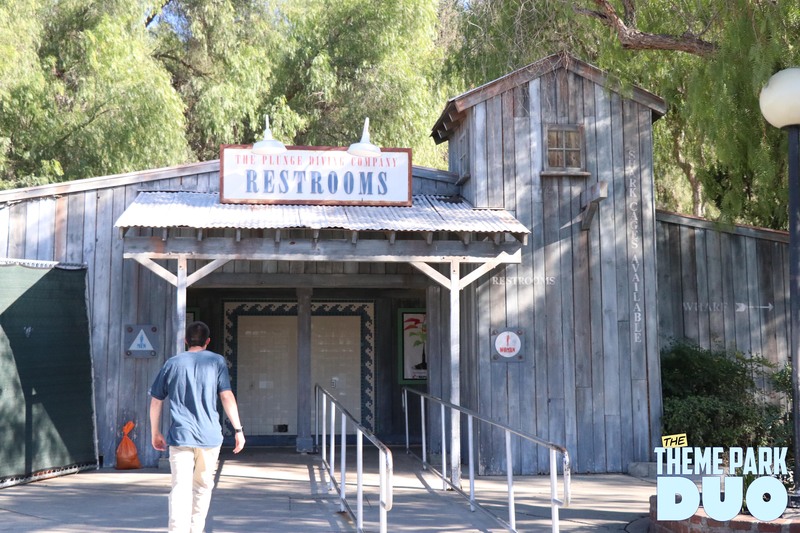 These are the restrooms that will be getting the major remodel. This will be getting new toilets, hand dryers and trough sinks. The team also mentioned that each year, another bathroom will be getting remodeled like this one. 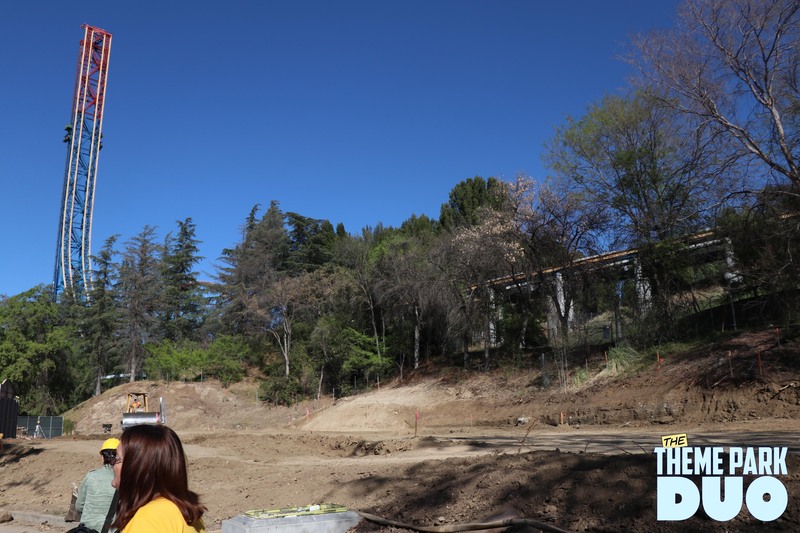 HUGE SHOUT OUT to the whole SFMM team for having us out to see the progress being made on their next big attraction. Also, we had the pleasure of meeting the new Park President, Neal Thurman who is incredible kind and seems excited to get to work on our favorite coaster park!